A lien is an official claim or charge against property or funds for payment of a debt or an amount owed for services rendered. For example, if you contribute labor or supply materials to improve a new or existing home and don't get paid, you may file a claim of lien against the home. Property liens in Georgia are called a mechanic's lien or materialman's lien. You can file a Georgia mechanic's lien if you are any type of mechanic who has taken no personal security for work done or materials supplied, a contractor, subcontractor, materialman to a contractor or subcontractor, a laborer, a registered architect, a registered professional engineer, a registered surveyor, a contractor, subcontractor or materialman supplying material to a subcontractor, a machinist or manufacturer of machinery, or an equipment rental company. You are only covered by mechanic's lien protection if you have all valid licenses required under state law. A mechanic's lien in Georgia is normally a formal document signed by both parties (the party who is owed money and the debtor who agrees to the amount owed). Before filing a lien in Georgia, you must be aware of strict deadlines. A mechanic's lien must be filed within 90 days of last furnishing labor/materials. An action to enforce the lien must be commenced within 365 days after filing the lien, and you must file a commencement of lien action notice within 30 days after commencing the action. Contact the clerk of the superior court of the county where the house on which you want to file a lien is located. Ask for the correct form and instructions to file a lien. 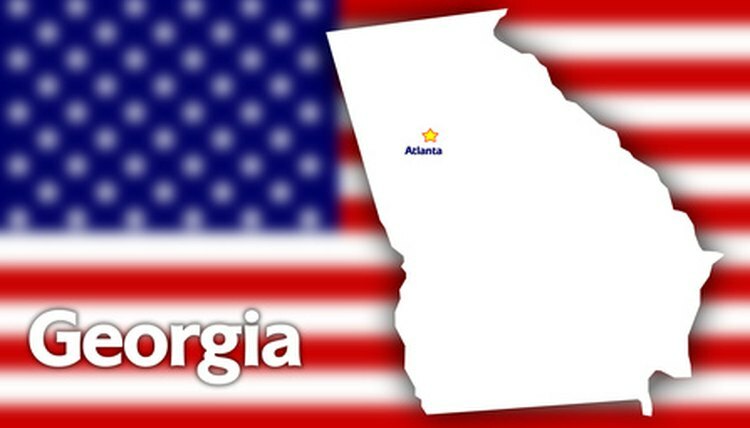 Under Georgia law, the lien must contain your name, address and phone number, the name and address of the party who hired you, the name of the owner of the property, a description of the property and details of the services or materials you provided. When your claim form is complete, hand it to the clerk of superior court. You must also send a copy of the lien claim to the owner of the property by registered or certified mail or overnight delivery within two business days of the lien having been filed. If you cannot find the owner’s address, you may send the lien to the prime contractor. Preliminary notices simply inform a property owner, direct contractor, project lender or other interested party that you are working on a project and have a right to file a mechanic's lien if you are not paid for your services. Georgia requires preliminary notice if the property owner filed a notice of commencement at the start of the construction project. It may not always be possible to know whether the owner has filed a notice of commencement, so it's good practice to send preliminary notice in any case. Preliminary notice should be sent within 30 days of first providing labor or materials on a project or 30 days from the filing of the Notice of Commencement, whichever comes later. You must file preliminary notice with the clerk of the superior court of the county in which the project is located and send a copy (by registered or certified mail or by statutory overnight delivery) to the owner and general contractor within seven days of filing. Gillespie, Claire. "How to File a Lien on a House in Georgia." , https://legalbeagle.com/6062996-file-lien-house-georgia.html. 21 August 2018.